set within a historic working spirits factory. to the revolutionaries of a great American city. Taste the History. Toast to Revival. Experience Detroit's premier event venue at a historic site that continues to define Detroit's long history of food and beverage craftsmanship. Taste small batch artisanal whiskies, gins and vodka made from the finest local ingredients sourced directly from farms near our distillery in Detroit's Eastern Market. Learn the art and science of distilling from grain to glass. 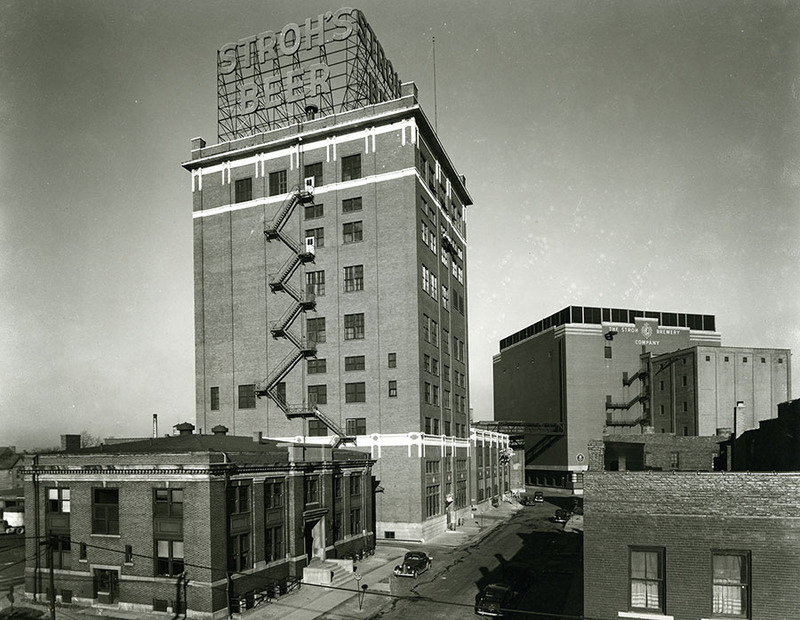 Enjoy a tasting of our craft spirits at the historic home of Goebel's Brewery and Stroh's Ice Cream. The Whiskey Factory is a premier event venue and part of a working spirits distillery in Detroit. Our mixed-use event space serves the revolutionaries of this great American city and the individuals supporting these change-makers - from the corporate companies who value the city and its heritage to the artists, entrepreneurs and creatives - that are a reminder of the soul of the city that has never left. Join us in the rickhouse among aging whiskey barrels for your next private event. Enjoy artisanal spirits made on-site with original cocktails from our Riopelle Tasting Room. Allow us to introduce you to our favorite chefs and caterers to collaboratively design an imaginative, completely custom culinary experience. We’ll share our signature spirits and the perfect setting for you to write your own story. The Whiskey Factory is home to the Detroit City Distillery, creator of small batch artisanal whiskey, gin and vodka using the finest local ingredients sourced directly from farms near this historic location. Served at every event, let us share our craft to elevate your event experience. See first hand how our artisanal spirits are made. In our walking tour, participants will learn about the art and science of the distilling process from grain to glass all while sipping on our artisanal cocktails. We'll talk history and sample a range of our small batch spirits including vodka, gin, brandy and, of course, whiskey. Our tours are held on most Saturday’s at 12pm, 2pm or 4pm and require a reservation. Tours are $20 per person.